Often the world’s most pressing and complex problems are addressed sector-by-sector rather than holistically. This “siloed” approach to development may not only place limitations on success but could cause unintended negative consequences. The Wilson Center, a Washington D.C. institution focused on policy dialogue, facilitated a 2016 panel discussion to address the issue if integrated development. 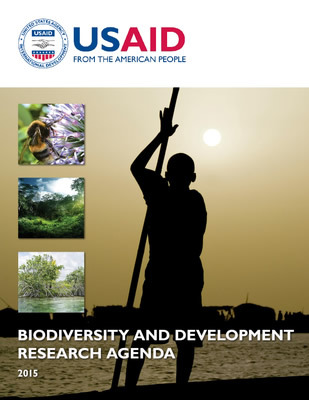 Among the panelists at “Building a Case for Integrated Development” were USAID’s Jayce Newton, integration lead for the Center for Democracy Rights and Governance, and Jim Tarrant, chief of party of USAID’s Biodiversity Results and Integrated Development Gains Enhanced (BRIDGE) project. BRIDGE supports the Office of Forestry and Biodiversity to integrate biodiversity conservation with other program areas. “USAID has recognized the need for more results and impact on its development investments,” said Newton. “That’s why, especially for democracy, rights and governance, integration is vital to all of the work we do." Jim Tarrant agreed, saying that integration is the way forward in development and that it is already happening. While “integration is seen as a costly and time-consuming approach," he said, "we must consider the alternatives since these often cost more in terms of lost opportunities and even failures.” Even so, he cautioned against integrating projects across too many sectors, “otherwise donors run the risk of funding something that’s a mile wide and an inch deep." Integrated programs hold promise for delivering impactful and long-term results. But how can integration success be measured? Tarrant said there needs to be greater collaboration for evidence-based research, monitoring and reporting on results. 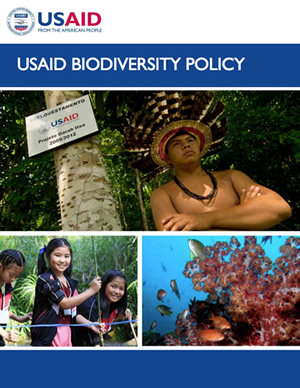 This is the focus of BRIDGE, which is researching and writing a series of case studies on USAID biodiversity integrated projects in various countries. Investigating and mapping the patterns and typologies of constituency engagement with USAID and external constituencies involved in the project. 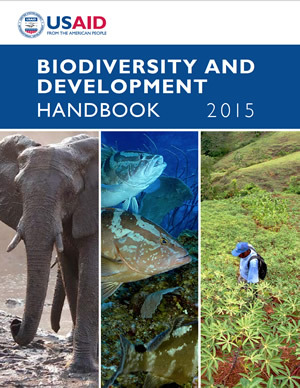 The results will help reveal linkages, strengthen mission efforts to integrate biodiversity with other sectors and identify potential entry points and incentives for integration. The Wilson Center event was co-sponsored by Locus, a coalition of organizations dedicated to advancing integrated solutions to global development challenges. Other event speakers included Roger-Mark De Souza of the Wilson Center, Nanette Barkey of PACT and Salman Jaffer of Social Impact. See photos from the event.